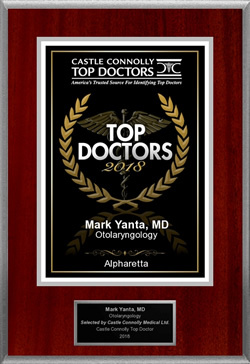 The medical practice of Dr. Mark Yanta delivers comprehensive Ear, Nose and Throat care and specialized Audiology Services to all ages - adults and children. 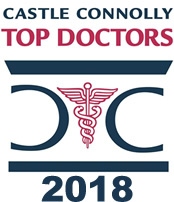 Dr. Yanta is double board certified in Ear, Nose and Throat (ENT) and Sleep Medicine which means that he has to keep up to date regularly with his skills and any new medical knowledge that comes out in both fields. Our medical practice utilizes state-of-the-art equipment and the latest treatments and technologies to ensure the highest quality of care for patients of all ages. Dr. Yanta received his medical degree and completed residency at the University of Texas Southwestern Medical Center. He completed a Fellowship in Facial Plastic and Reconstructive Surgery. He is currently double Board Certified in Ear, Nose, and Throat and Sleep Medicine. He has opted to focus on ENT and Sleep Medicine at this time. He has also completed numerous specialty training courses in advanced endoscopic sinus techniques and sleep medicine. Dr. Yanta has hospital privileges at Children’s Healthcare of Atlanta—Scottish Rite and Egleston Children’s Hospitals, Northside Hospital, and North Fulton Hospital. “I believe strongly in being conservative, recognizing that there are many non-invasive non-surgical ways to treat conditions of the head and neck region. While I love performing surgery and feel very well-trained, I am very cautious in my use of surgery as the first treatment option – I believe it should be reserved only for those times when there is no good alternative. I am committed to giving ethical and compassionate attention to each of my patients, showing you and your families how much I care about your well-being. I believe in active follow-up – checking to make sure you are getting better, to see if we need to something else if you aren’t. Next, go to the Medical Services page to learn more about what Dr Yanta’s ENT medical practice offers.